Microsoft Dynamics CRM provides a set of easy to use customization tools that allow you to customize or supervise the customization of your CRM deployment, without the needs of extensive training. Once familiarized with the basic features of sales, marketing and customer service, customization is just an extension of those modules. It is important to have a high-level understanding of the customization capabilities and the right features to use. 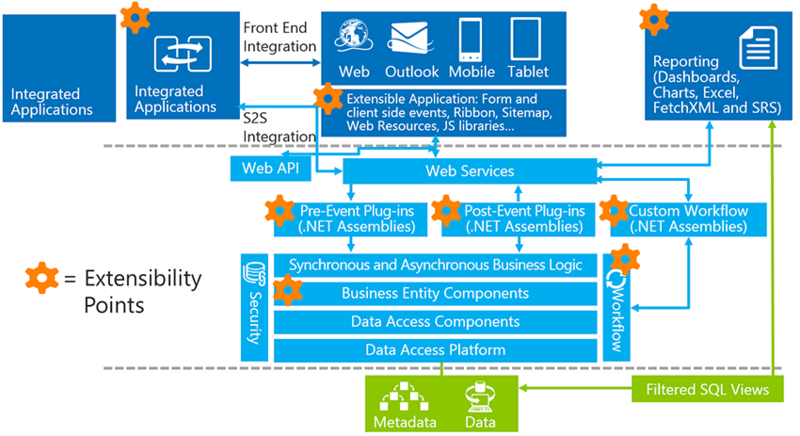 The diagrams below detail the different customizations capabilities of Microsoft Dynamics CRM.